Growth is primarily an increase in muscle, bone, organs and connective tissue. It is essential during the growth phase that nutrient needs are met to insure that the animal can attain its proper mature status and size. During this phase there is an increased need for high quality protein, higher energy and a greater demand for adequate levels of minerals and vitamins. Daily growth rate increases until puberty and then decreases through maturity. Fattening in an animal is simply put, the deposition of unused energy in the form of fat within the body tissues. Fattening is split into two categories. Abdominal, intermuscular and subcutaneous deposition is for the most part undesirable, but unavoidable is marbling is to occur. The second, intramuscular deposition is commonly referred to as marbling and is difficult to obtain without excessive deposition from the first category. The primary requirement for fattening is energy, net energy (NE). During this phase, protein requirement decreases to an extent, but must be maintained for proper digestion. There is also an increase in need for vitamins related to energy metabolism. What is the difference between growth and fattening in relation to weight gains? Weight gain in animals is derived from growth, fattening and fill, or increase in content of feed and water. Growth is a much cheaper form of weight gain than fattening is. Gain from growth is primarily in the form of protein tissue and bone. Gain from fattening is largely in the form of fat. Protein tissue is basically 75% water and 25% protein. As mentioned in an earlier post, protein is one of the most costly nutrients, but water is essentially free. Therefore, protein tissue is a cheap source of gain. On the other hand, gain from fat is considered expensive. There is very little water and mineral deposition in fat. In fact, as in humans, fat will actually replace water in tissues, which makes for a very uneconomical exchange. Additionally, is requires about 2.25 times for net energy (NE) to form a pound of body fat that is required to form a pound of protein. Young animals are more efficient and cheaper to grow than older animals. Also, older animals are easier to fatten than younger, because a greater percentage of their energy consumption is available for fattening. 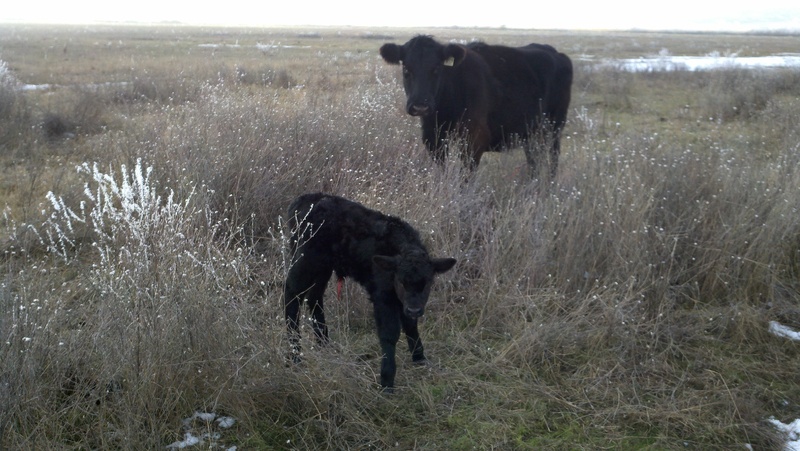 There are two considerations to have in mind when feeding during gestation. The first is to provide nutrients for the development of the fetus and the second is to provide nutrients during gestation to build up a nutrient reserve to meet requirements for milk production following parturition. It is also important to consider that females that too fat can have difficulty conceiving and may deposit fat in the mammary system, reducing ability to produce milk. Additionally, bred cows, that are fed to liberally, may experience an oversized fetus and/or difficulty during parturition. Typically we associate milk production with the dairy cow. While it is a dairy cows specialty, all females produce milk upon giving birth to young. The nutritional requirements for milk production are in proportion to the amount of milk produced. The major requirements are high quality protein, adequate energy, calcium, phosphorus, vitamins A and D and salt. To summarize this section, it is important to realize that the nutrient requirements for each of these phases is over and above the nutritional requirements for basic maintenance. 1.what is the neccesity of feeding beef cattle with high energy ration than protein ration?? 2.why we fatten mature castereted animal than young animal , mature bull and cow? 1. Higher protein levels in rations encouraging growth, rather than deposition of fat. 2. Steers are most often fattened as they will reach their endpoint sooner than bulls and their muscle is more tender. 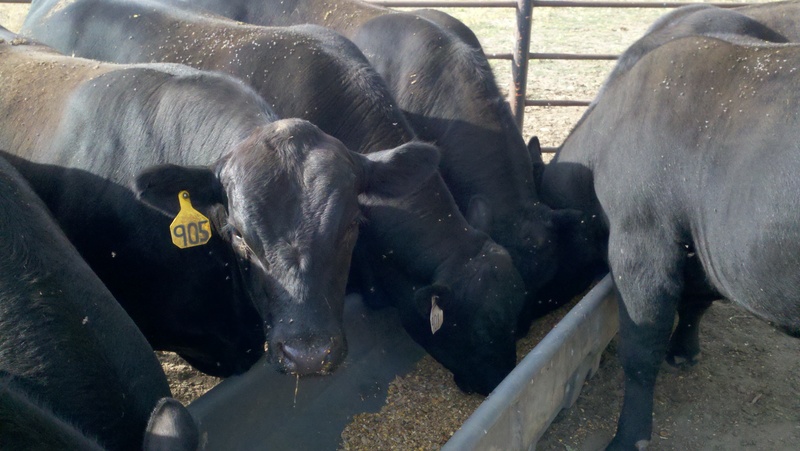 Feeding out bulls presents several challenges. Biggest challenge is they’re desire to “play” and fight with each other in groups. Second, they will continue to grow to a size and weight that is much bigger than facilities are designed for. 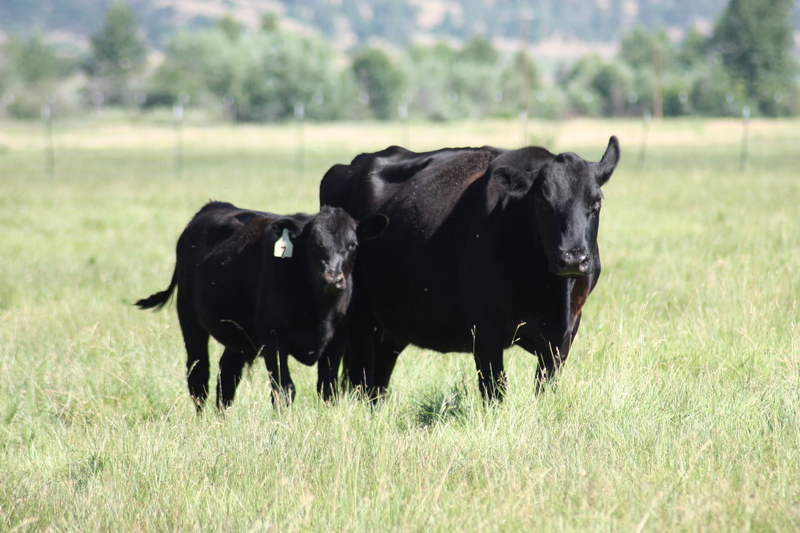 Heifers provide great meat, but since they are needed to build herds, are not fed out in the same numbers as steers.